I played The Secret of Monkey Island for a total of seven hours over the past day (yesterday and today) and I may look to try and finish it. 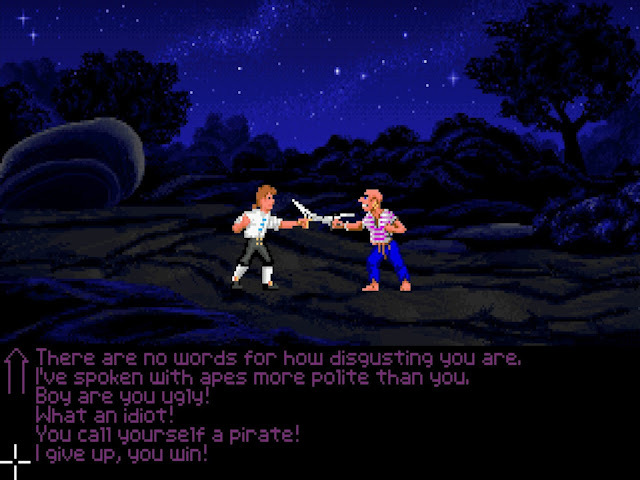 Guybrush Threepwood (left) fights a pirate. One of the neat features of the newer special edition which I'm playing is the ability to seemlessly switch between the newer, updated graphics and the original graphics. I mostly played the game with the new graphics, because it includes voice overs, but I would often switch to the older graphics just to see how the game originally appeared. As a random fact, I tried to play the game back in 2014, but I hardly put a dent in it. I'm glad I was able to revisit the game and actually put some solid time into it. 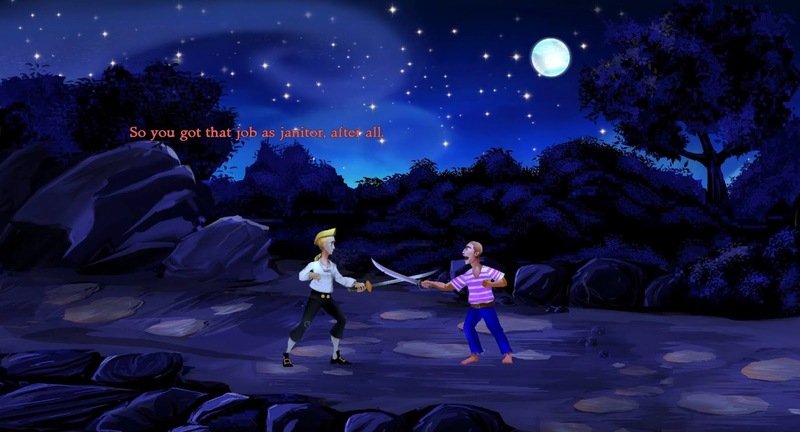 If you like adventure games and pirates, then consider The Secret of Monkey Island.